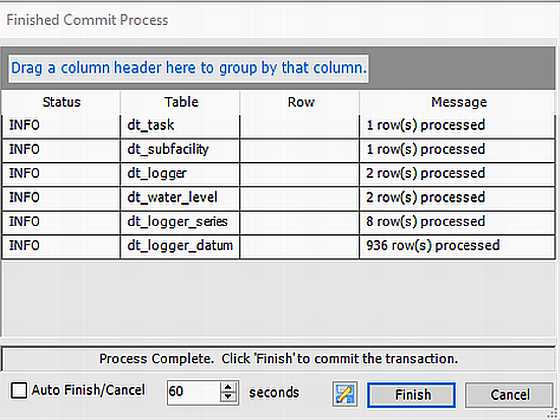 A new feature was added to EDGE 7.0, Live Logger Data. 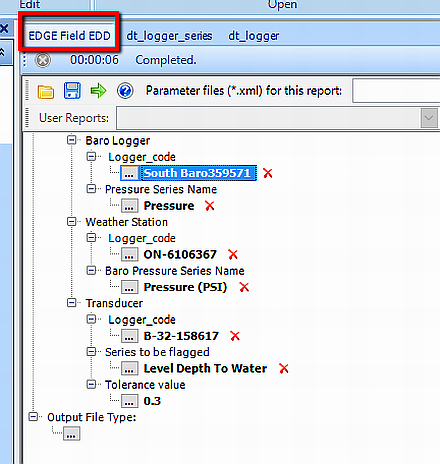 By using this feature, water levels at monitored wells can be automatically calculated based on Level Logger(s) and Baro Logger(s) readings. 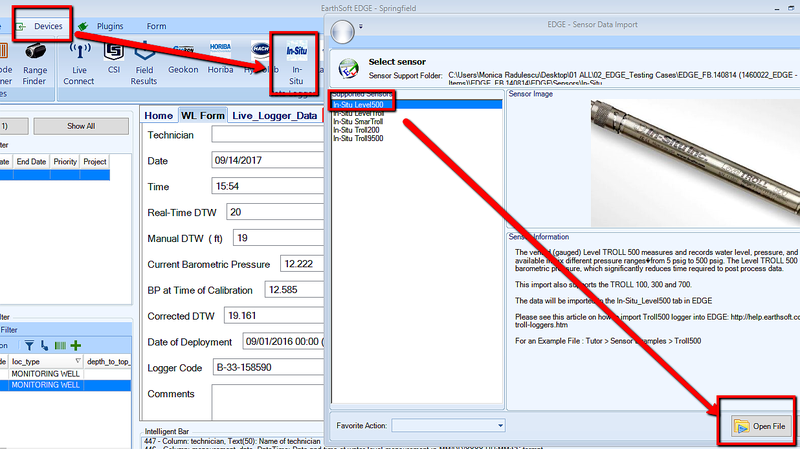 "Leveloggers (L) measure the total pressure acting on a transducer at their zero point/sensor. The total pressure is caused by the column of water lying above the Levelogger pressure sensor AND the barometric (atmospheric) pressure acting on the water surface. To compensate for barometric pressure fluctuations and get true height of water column measurements (H), a Barologger (B) is required." Note: "Levelogger is rated for a specific submergence depth. The choice of model largely depends on the accuracy of the water level required and the submergence depth. The selection is based on the maximum anticipated water level fluctuation." 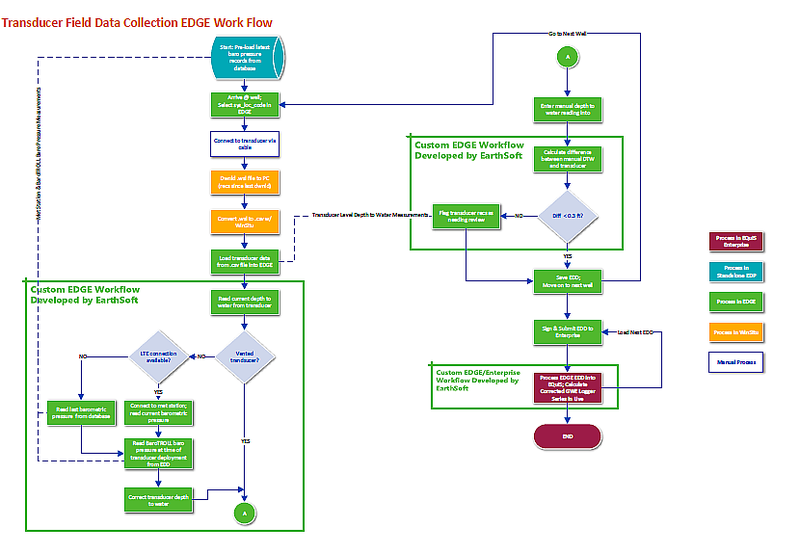 The following diagram presents the work flow which includes the barometric pressure data stored in the database, the EDGE field data collection, and the submission of collected data into database. Note: This action is performed every time, for each field event. 4.Save the EDD (e.g. EDD_loggerloc1.xlsx). 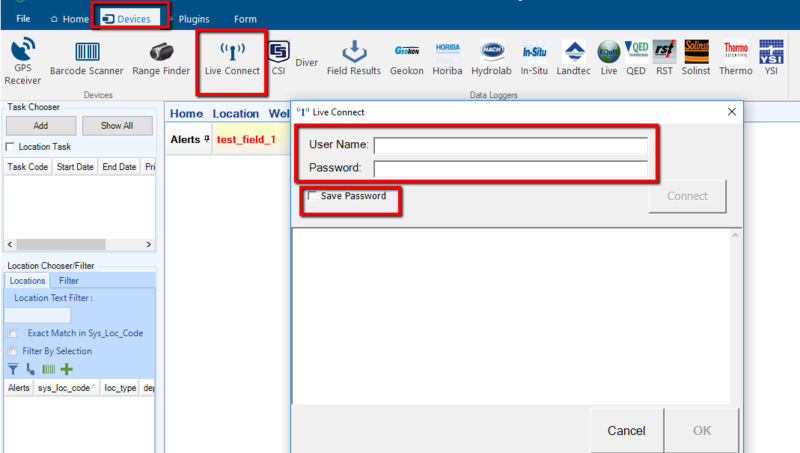 Note: Make sure Live Data is enabled in EDGE Configuration. •Save report as EDD_Report... (e.g. EDGE_Report_12345.xlsx). 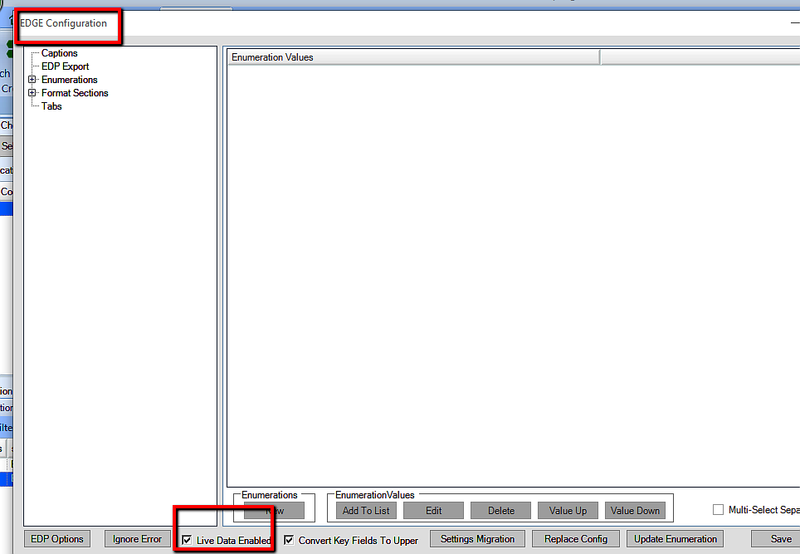 •For further help with configuration and enumerations please click here: Configuration and Enumerations. •Make sure you are connected to the internet. Real-time Barometric data is received from the weather station selected in the report. Note: Step 5 is performed every time, for each field event. 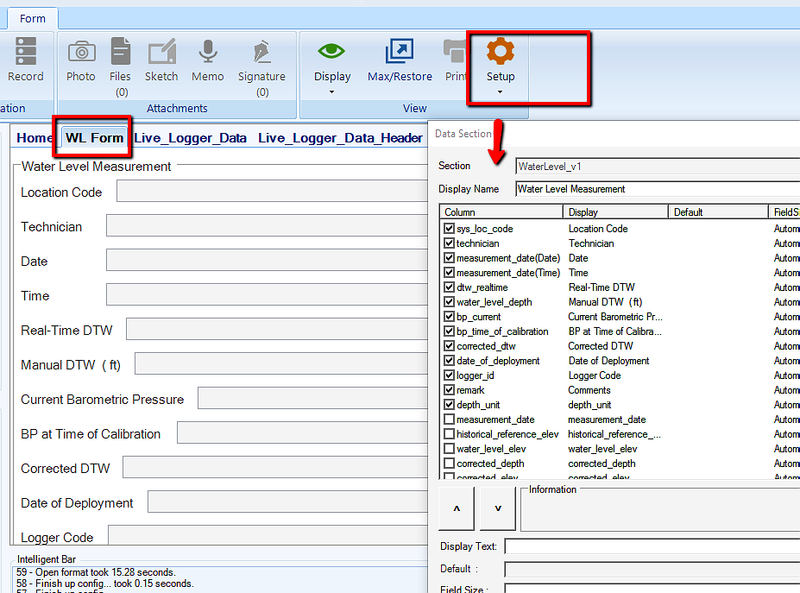 •If the absolute difference value is greater than the tolerance value it will automatically flag and in the Live_Logger_Data_Header will show "WARN"
•And save the EDD as... (e.g. EDGE_Report_12345_complete.xlsx). Before proceeding, a conversion between feet and PSI is necessary, if Corrected DTW [corrected_dtw] = depth_unit is set to feet. •Create - during the Create step in EDP, the groundwater elevation is calculated as per Equation 3 only if the dtw exists. If "WARN" in datum_qualifier_4, groundwater elevation will not be calculated.